I once read a former high-profile model say that she was encouraged to "drink her calories" instead of eat them. This applied to alcohol and, I guess, was supposed to not make one gain as much weight. I'm not sure how that works, but I think Starbucks has been onboard with the entire "drink your calories" notion for the entire time that it's been in business. 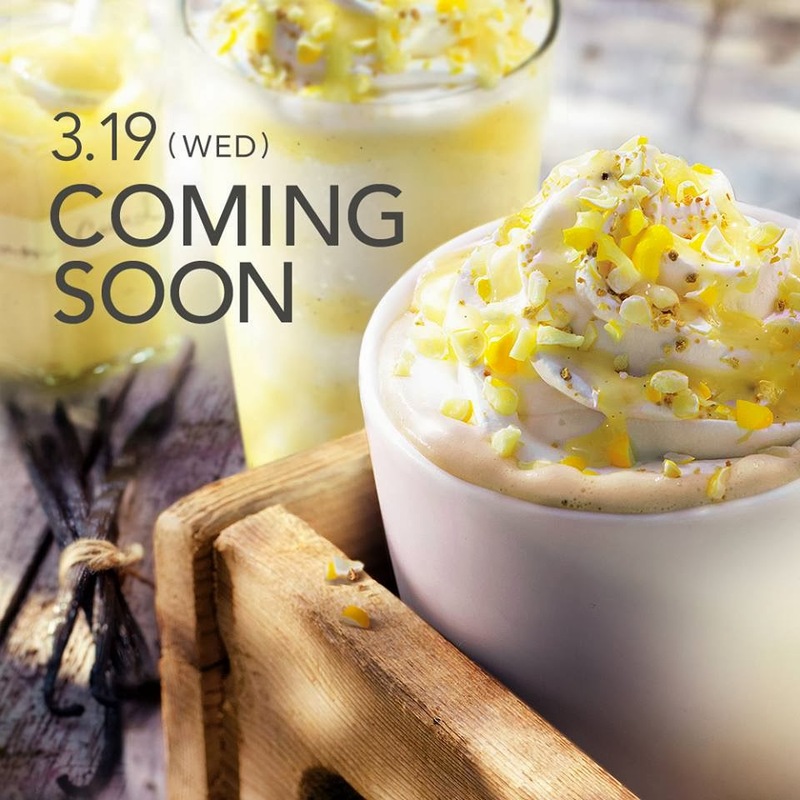 As you can see by the picture, Starbucks is offering a new limited editions drink to help you get your calories. While I don't know how caloric this is, that rich head of whipped cream is a hint that this probably isn't going to trim your thighes any time soon. This is a "creamy" vanilla latte with lemon peel and lemon-flavored whipped cream. It's supposed to evoke lemon cream pie in the silky texture and sweetness. A short will run you 430 yen ($4.19), a tall 470 yen ($4.57), a grande 510 ($4.96) and a venti 550 yen ($5.35). It'll be around from March 19 to April 15 and you can have it hot or cold. While I personally think that the lemon/coffee combo (this is an espresso drink) is a bit strange, I'd probably buy a short and give it a try provided that my husband was also willing to be a taste tester so that we'd both have a chance to hate it before throwing away what was left. ;-) If you give this a try, I'd love to hear your opinions of how the two tastes come together in this drink. Sorry I'm so late to comment on this, but I had the iced latte version of this a couple weeks ago. It was pretty awful, the lemon bits on top were the only thing that kept me going. The flavors just really didn't mesh. I'm gratified on the one hand that my sense that lemon and coffe don't play well together was correct, but sorry that you had to waste your money on something which didn't work! I am very appreciative that you shared your experience. :-) Thanks so much for making the effort and taking the time!